 Englishmen who were engaged in constructing the first railroads in the Philippines seem to have introduced the game in the latter part of the nineteenth century. 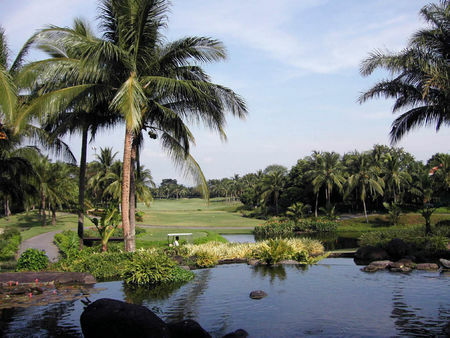 What began as three holes was extended to nine, and by the time the railway station had been completed in the capital of Manila, the Manila Golf Club had been incorporated and was staging the inaugural Philippine Open. That competition, in 1913, was dominated by amateurs from the US and England, who were the only participants until 1929, when a Manila caddy named Larry Montes managed, with the support of a US backer, emerged victorious. 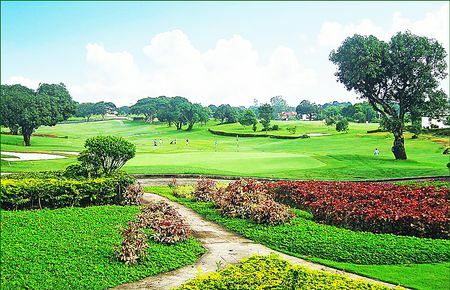 Montes' win caused some turmoil that resulted in the foundation of the Wack Wack Golf and Country Club by disgruntled members of Manila GC. The Philippine Open quickly formed an association with the new club, and it has been staged at Wack Wack ever since. 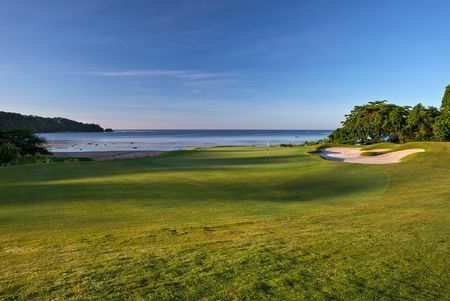 This club, which takes its name from native birds whose call sounds like "wack-wack," deserves special note for having been the major promoter of golf in the Philippines and the surrounding region. Among the noted players who have made the trek here for the open have been Norman von Nida, Ed "Porky" Oliver, Lloyd Mangrum, Bruce Crampton, Peter Thomson, Dough Sanders and Sam Snead. 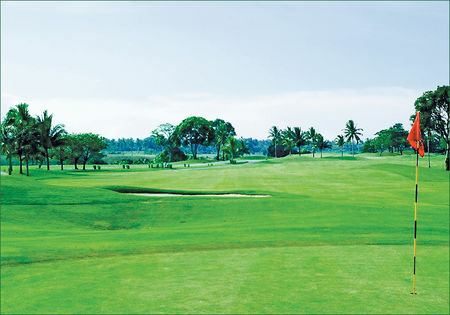 Even amid the political and economic unrest that the Philippines has faced over the past decades, golf has managed to thrive. 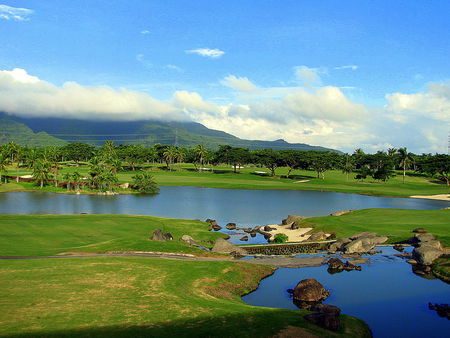 Former strongman Ferdinand Marcos claimed a handicap of nine and is said to have played nearly daily. 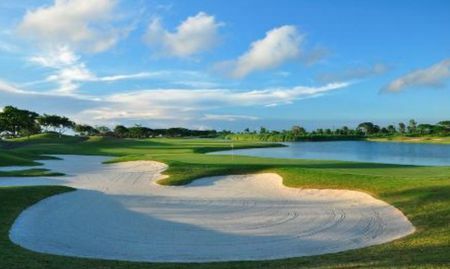 The country has also produced a number of golfers who have distinguished themselves on the Asian tour, including Ben Arda, Felix Casas and Frankie Minoza. 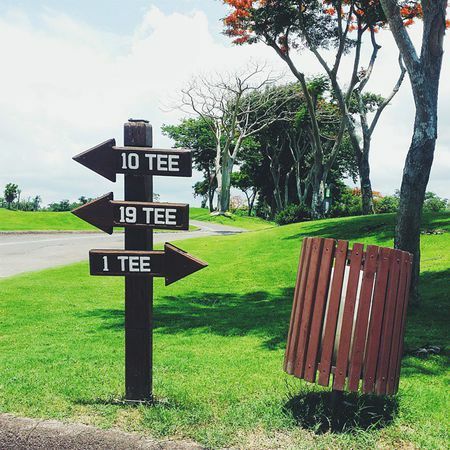 The National Golf Association of the Philippines counts some 60 courses among its membership, and there is perhaps an equal number of other courses outside the Association's jurisdiction.